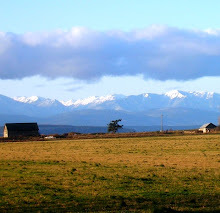 Awe…Ebey’s Prairie - a quilt landscape of crop farming on Central Whidbey Island. 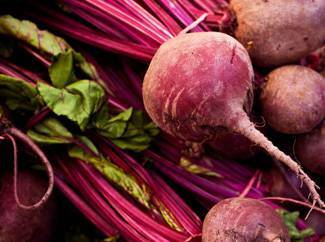 Ever wonder about the vegetable we call a Beet? Do you know where it originated? How about the age of the Beet? When I began working for the Reserve as a seasonal Ranger I found out there are more colors to beets than just the reddish/purple kind. Prairie farmers are harvesting beets that are also white, golden, and some that are even red and white stripped when cut open to expose the inside flesh. I did not care for beets as a kid but now love them and wanted to find out where these sweet, edible root vegetables came from. After doing some digging and becoming more inspired as my search continued, here is what I found out. This is pretty awesome. The Beet is an interesting, healthy vegetable that originated as a wild beet on the coast of the Mediterranean Sea during pre-historic times and was called the “Sea Beet”! During the 8th century B.C. the beet was part of the Hanging Gardens on Babylon in the Mesopotamia area known as the Cradle of Civilization. Beets are really old! The ancient Greeks used the beet green (the leaves) for medicinal purposes and as a culinary herb. They even offered their glorious beet to the Sun God Apollo. The Romans, on the other hand, were the first to actually eat the root as part of their diet. The beet root back then was either white or black, no other color. Now we all remember the Roman Empire and during this time of expansion was when the beet was introduced to many European cultures. Eventually, the beet seed hit the United States in 1830 (about 20 years before Isaac Ebey settled on Whidbey Island). Today there are a variety of beets available and people use beet juice (especially the reddish/purple beets) to dye material with and for hair dye and this practice has been going on since the 1500’s. If you are health conscious, the beet is a bonus for you! It is an excellent source of fiber, potassium, calcium and other minerals and is classified as a Super Food! Power-packed with phytochemicals and antioxidants it also lowers blood pressure, contains Vitamins A and C, is low in fat and rich in nutrients. Wow! All that from a beet! Press all ingredients through a juice machine and, Voila! Instant energy. Come to Ebey’s Landing National Historical Reserve and see what nature has to offer.